I stated out with an idea that would, quite honestly, taken me about a day, rather than an hour. So I did this in about 40 minutes instead. Arrow Keys to move the Graviball around. 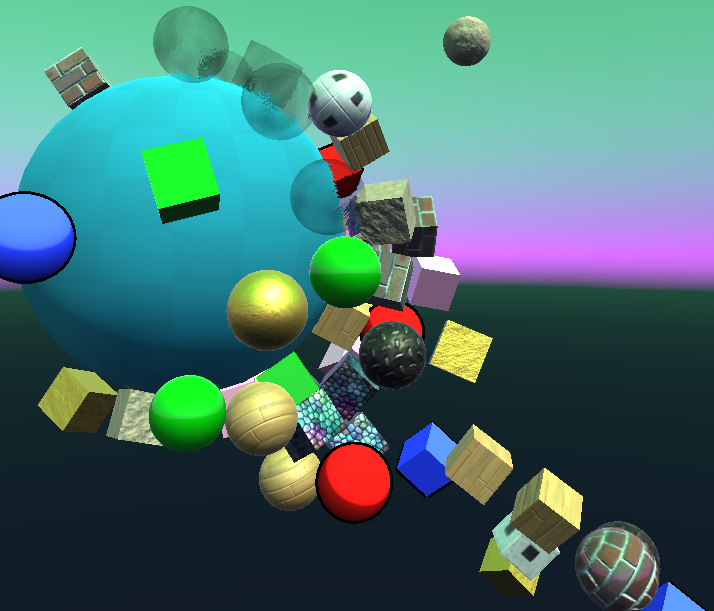 Try shaking off the cubes and spheres if you can ! So, this seems interesting. I'm going to be entering this competition to see if I can quickly make a game inside of 1 hour.
? I'd imagine as a basics it would be. But I'd be interested to hear your response if this is not the case. There is no grounded condition actually, it's just a perpetual reorientation and "falling" towards the sphere. I was going to do this 1 hour coding jam, but I quickly came to the conclusion that I'm not good enough! More practice is required! Also, my idea, I couldn't bring to fruition no matter what I tried. A sphere, or planet. and things spawn around it and you have to drag them off the planet and they'll fall back to the planet and pop. It doesn't matter if you take more than an hour. These are more guidelines than they are rules, let your creativity run wild ! On the artistic side, there is no good or bad. Feel free to have bizarre graphics and sounds, that's also interesting. The one hour rule is here to put a scope. Don't try to create a top-seller game, stick to one mechanics and explore it widely. But then, you can exceed a bit the deadline.